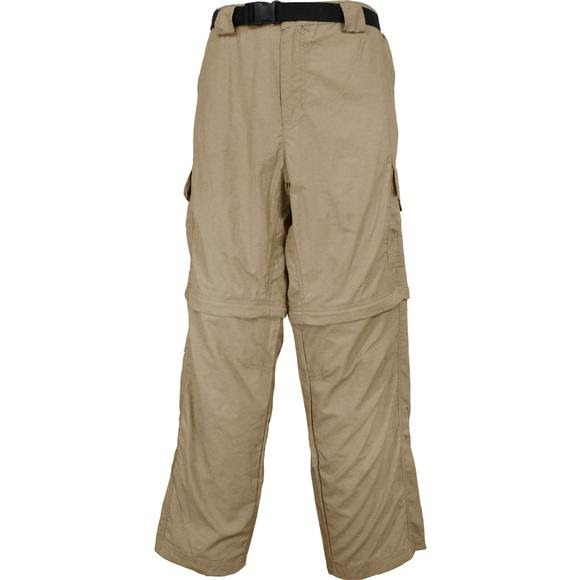 Perfect for a fall hike or a day in the backcountry, the World Famous American Outback Quick Dry Pants are constructed with wicking nylon and offers SPF 30 sun protection. Two cargo pockets plus 5 more pockets throughout, including two secure zip closure, offers plenty of storage for any fast pace adventure. I honestly don't know who could wear these pants. The distance from crotch to waist was only a few inches, and though they were listed as a large, there was no way I could even close them. Yes, I do fit into all other pants of my size in stores (W14-16). If you are very short-waisted, they might work, but otherwise, I'd suggest that you pass on these pants. Another reviewer says they they don't come up to her waist. The pair I bought fits nicely at the waist. But for me the length is too short in the legs. I'm not long-legged, and this is the first time in my life I altered pants to make them LONGER. Other than that I find them comfortable and loose fitting. I am 5'5" and 123 lbs., bought a size small.